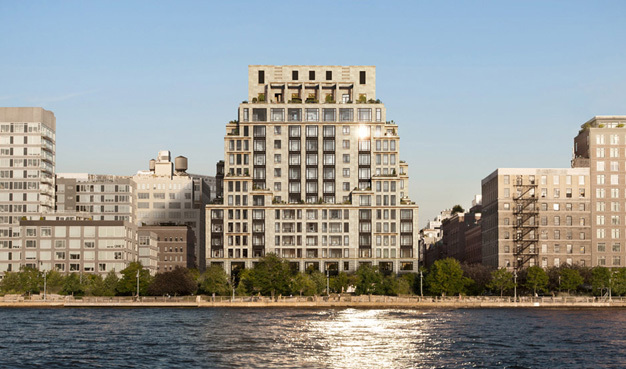 Sitting mere feet from the West Hudson River waterfront, this 155,000-square-foot building will create more than 45 new luxury condominium homes in the TriBeCa neighborhood of Manhattan. Since it is required to fulfill the resiliency requirements in New York City’s building code, it will also help New York City prepare for severe natural shocks. Because the design team is also pursuing LEED certification, part of Brightworks work involves the integration of resiliency measures with LEED certification in order to streamline the sustainability program and ensure that the development’s resiliency measures support the LEED program and vice versa.